Since February 2010, the issue of Users of Metal Detectors (UMDs) has been a hot topic in France. If the issue unleashed passions, although this has not really been reflected in the French media, a question is implicitly linked to the subject: apart from preventing the very real danger of new archaeological sites being destroyed, will this spell the end of amateur archaeology? With the creation of the National Archaeological Excavations Association (INRAP) in 1973, which became a public service called the National Institute for Preventative Archaeological Research in 2002, coupled with the growth of private companies in archaeology, the professionalisation of French archaeology has significantly changed the relationship between this profession and amateur archaeologists. This evolution now underlines the ambiguous position of the French state, which, on the one hand, supports the contributions of civil society to the profession, yet on the other hand, is still very suspicious about organisations that are not directly dependent upon the state. After a quick review of relevant legislation and the evolution of French archaeology, we will present a profile of the UMDs, their impact on archaeology and the reactions to this subject by professionals as well as the state, communities and citizens. Then, we will broaden the issue by asking if UMDs represent the only human danger for archaeology. Finally, we will discuss potential solutions to the problem of looting while still encouraging the involvement and recognition of amateur archaeologists and citizens committed to the protection of French heritage. While Ireland and Italy already had laws in place explicitly relating to archaeology, France has only had legislation to protect archaeological remains as part of public heritage since 1941. This preoccupation with safeguarding our collective memory is not therefore specifically French, as some like to think. The Valetta Convention, signed by the Council of Europe on 16 January 1992, even displays a willingness to have a common political agenda concerning the protection of archaeological heritage. However, although many European countries have shown an interest in such protection by legislation, the results enable very different levels of economic and public expectations to be identified. Since it is not possible to review each country, this article will focus on France. Thus the issues involved in differentiating between professional archaeologists, voluntary archaeologists and treasure hunters can be best assessed through one of the tools of archaeological research: the metal detector. 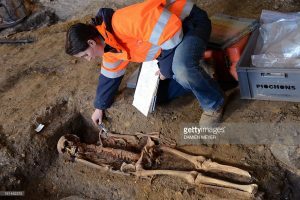 Professional archaeologist – a person, qualified or not, who is paid to carry out interventions relating to archaeology (see Section 3). Voluntary archaeologist – any person, qualified or not, who carries out an unpaid activity within archaeology, with a status more or less similar to that of a professional archaeologist (see Section 4). Treasure hunter – any person looking for archaeological remains in an illicit way without any scientific intent (that is to say, at least without any circulation of the results of the discovery following a scientific approach). Even though they can be of interest to archaeology, the case of family treasures and their finders merits individual treatment which is beyond the scope of this article. A country’s legislation represents its position regarding the values upheld by successive governments (to find all French legal documents, see Clist n.d.). This clarifies the history of scientific disciplines and archaeology is no exception. It is interesting to note that in France, the first laws relating to material traces left by previous cultures only extended to those traces visible to all. This is how the first law passed by the French government on 31 December 1913 referred to what is still known today as ‘Historic Monuments’ (Monuments Historiques). This law stipulates in its first article that ‘buildings whose conservation is in the public interest, from a historical or artistic perspective, are classed as historic monuments in whole or in part by the minister in charge of cultural affairs’. Thus only what is visible is recognised. The act passed on 2 May 1930 relating to the protection of ‘natural monuments’ and ‘sites of an artistic, historic, scientific, legendary or picturesque nature’ suggests the beginnings of an interest in hidden heritage. However, it was not until the act of 17 September 1941 that regulations came into force covering archaeological excavations, and then validated by an edict on 13 September 1945 (no. 45-2092) which evoked the term ‘archaeology’ and was explicit about below-ground remains in relation to protection on a national level. However, there was still no mention of underwater remains and the French government only began to take an interest in them with Act 61-1262 of 24 November 1961, which related to the policing of maritime wrecks. Emergency interventions owing to the destruction of potential sites by building works or for other reasons were still not expedited, and such measures only emerged thanks to pressure from the AFAN (Association pour les Fouilles Archéologiques Nationales) on 17 January 2001. This new law has its European legal basis in the European Convention on the Protection of the Archaeological Heritage (revised), also known as The Valetta Treaty or the Malta Convention (Council of Europe 1992), signed on 16 January 1992 by the member states of the Council of Europe. The convention’s major outcome in France was the setting up of a charge to finance evaluation and rescue excavations. A public establishment administrating research was subsequently created, taking over the now-disbanded AFAN’s rights and obligations. 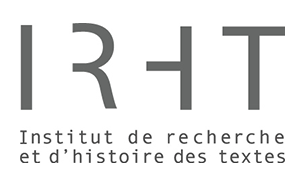 From this, the INRAP (Institut National de Recherches Archéologiques Préventives) was born on 1 February 2002 (INRAP 2009). The history of legislation concerning French archaeology is even more complex than detailed here but this brief outline shows the position of French politics with regards to archaeological research. Even though awareness of prehistoric archaeology emerged in the 19th century, and many remains relating to a more recent past were known about (the Iron Age and the Celts; ruined medieval castles), only visible remains above the ground interested politicians until 1941. Although under the Vichy regime the less visible past finally saw the light of day, the separation of historical monuments and archaeological remains continued, as well as an absence of consideration for underwater remains. It was not until the establishment of the Heritage Code (Code du Patrimoine) of 20 February 2004 that a transformation of previous texts was made. Archaeology is currently defined by article L 510-1, as ‘made up [of] all remains and other traces of the existence of humanity, of which the safeguarding and study, in particular by excavations or discoveries, enables the development of the history of humanity and its relation with the natural environment to be retraced’. However, it appears that this time politicians are a few steps ahead of some scientists. Despite this definition, which unites remains of buildings and portable antiquities, that are visible and invisible, underground or underwater, and even integrates signs of an immaterial nature such as environmental change, the notion of buildings archaeology is still not wholly accepted. Similarly, the archaeology of the 20th century continues to be ignored and the wider public is far from being up to date on scientific development. This is not without consequence for users of metal detectors’ (UMDs) approach to what is or is not archaeology. Leaving aside legislation concerning rescue excavations, which can only be carried out by authorised operators, I will briefly discuss article L 531-1 of the Heritage Code, which has a bearing on regulations covering planned excavations. This states that ‘no-one may carry out, on his own land or land belonging to a third party, excavations or surveys to search for monuments or objects which may be of interest to prehistory, history of historian, art or archaeology, without first having obtained authorisation’. This legislation thus clearly applies equally to visible constructions (castles, churches, buildings, etc.) and invisible ones (rock shelters, caves, underground passages, former mines, buildings of which only below-ground foundations remain, etc.). Article 532-1 completes this definition by including the maritime dimension. On the other hand, it can be added that distinguishing prehistory, history of historian, art and archaeology shows that old habits die hard. What need did the legislators have for this listing when since at least the 1980s archaeology has dealt with invisible remains just as much as visible ones? While this article was revised on 20 February 2004 by ruling no. 2004-178, keeping these distinctions, which are today completely outdated, contributes to maintaining confusion both within the scientific community and also for students and the wider public, including metal detectorists. Despite the provisions, unexpected discoveries can be made. Indeed, the Heritage Code (articles from L 531-14 onwards) provides for the possibility of discovering a treasure in the sense of article 716 of the Civil Code: ‘a treasure is anything hidden or buried for which no one can prove ownership, and which is discovered by pure chance’. According to the same article, and with the condition that the State is not interested in the treasure, under the interpretation of article L 531-14 of the Heritage Code, it then belongs to ‘… whoever finds it on his own land; if the treasure is found on the land of a third party it belongs in half to whoever discovered it and half to the owner of the land’. According to French legislation, there is then no possible confusion between deliberate search and unintentional discovery, and the legislation even takes into account the use of metal detectors in the Heritage Code’s articles from L 542-1 onwards. The first article stipulates that ‘no-one may use material allowing the detection of metallic objects, in order to search for monuments or objects which may be of interest to prehistory, history of historian, art or archaeology, without first having obtained an administrative authorisation given out according to the applicant’s skills and also the nature and procedures of the search’. Although the legislation here is still slightly behind the possibilities presented by new technologies (discussed later), it has become much clearer concerning the intentional motive that the French government ascribes to the use of metal detectors outside of a professional or scientific framework (Although it is true that metal detector use for minesweeping is under the Ministry of the Interior and the Ministry of Defence, following the decree no. 2010-1261 of 22 October 2010, nothing prevents construction workers and other services from using them to map various pipes in order to avoid damage during roadworks or the construction of a terrace). Indeed, having defined archaeology as a source of knowledge about human history from material and immaterial remains, no chronological period is excluded. As a consequence of this definition, the French government has effectively forbidden all leisure metal detecting. Underlying this, it must be understood that it is not so much the tool used that is forbidden, but prospection leading to the removal of remains from their context without scientific purpose. It should be said that in any case of violation, liability to criminal prosecution arises from articles L 544-1 onwards of the Heritage Code, and also by the Penal Code. Article 311-4-2 of the Penal Code provides up to 7 years imprisonment and a fine of €100,000 for the theft of evidence pertaining to article L-310-1 of the Heritage Code. The same applies to the destruction, degradation or deterioration of evidence of the same type according to article 322-3-1 of the Penal Code. These sanctions can be lengthened to 10 years imprisonment and €150,000 fine when the infraction is committed under aggravating circumstances (especially, if several people participate in this destruction, degradation or deterioration). In the previous section, legal provisions were discussed, giving a vision of French archaeology. On one point, those legal documents correspond to the start of a scientific dimension to archaeology whether in France or anywhere else: human history must be able to be seen to exist. Although archaeology appeared well before the 18th century, as a term it was sporadically used. 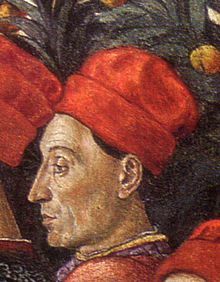 Cyriaque d’Ancône or Ciriaco de’ Pizzicolli (1391-1455) is sometimes called the father of archaeology because he was the first ‘scholar’ to rediscover the prestigious antique Greek sites such as Delphi and Actia Nicopolis. Du Voisin de La Popelinière (1541-1608) explicitly mentions the terms ‘archaeology’ in his work of 1599 (vol. I, 211). But these examples do not demonstrate a development of the discipline. Only with the excavations of Herculaneum in 1738 are the beginnings of archaeology marked, but even then on macroscopic scale. Columns, squared-off blocks, and so forth, enabled the identification of buildings, together with complete pieces of pottery and other artefacts. These last items would fill museums and display cabinets all through the 18th and 19th centuries, amazing the public and leading to the rediscovery of Antiquity (Greece and Rome) and former societies of the Mediterranean Basin (Egypt, the Celts). Archaeology would also serve another objective: to provide the physical evidence relating to ancient texts. ‘Biblical’ archaeology is a schoolbook example of this, which even today retains its pertinence. The connection between archaeology and what is visible can again be seen, here supporting an ideological viewpoint. However, archaeology as it is known today in France originated in the second half of the 20th century. The scientific community, from the late 19th century onwards, had already recognised the importance of context and not just the recovery of fine objects but generally specaking, excavation methodology only really advanced with the work of Sir Mortimer Wheeler and the publication of his Archaeology from the Earth in 1954. The practice of archaeology in France was relatively untouched by the revolutions of the 1960s brought about by Lewis Binford’s New Archaeology and André Leroi-Gourhan’s work. Those archaeologists working on prehistory were an exception to this rule, since they had the advantage of not being blinded by texts. This is important for the issue in question, since it shows that the discipline is perceived as being intimately related to excavations. A few rare exceptions exist. The Centre for General Archaeology defines archaeology as being the discipline that studies objects made by human beings. Founded by Philippe Bruneau and Pierre-Yves Balut (1997), this laboratory of the University Paris IV—Sorbonne has developed its work using the theory of mediation developed by Jean Gagnepain (French anthropologist and linguist). In this approach, archaeology comes under human ergology (technical ability) and the understanding of human beings using a more global approach (for the evolution of this approach, see Centre d’Archéologie Générale). Similarly, some archaeologists are interested in buildings archaeology (e.g. Reveyron 2002), which began to gain recognition towards the end of the 1990s. These exceptions have succeeded in bringing archaeology out of the soil and archaeology now encompasses artefacts from above and below the ground. In this way, architectural heritage is not only related to art history, but also to archaeology, just as in the 1970s industrial archaeology managed to create a link between contemporary artefacts and older ones. However, despite these exceptions, the idea that there is no more to archaeology than excavations still persists! Added to the scientific community’s division over the definition of archaeology, verbal inflation has taken hold. Egyptian archaeology, prehistoric archaeology, field archaeology and geo-archaeology gleefully mix aspects of the object under study with aspects of the speciality, praxis and multidisciplinarity. As Philippe Jockey points out very well, ‘… today we have the incorrect impression of dealing with archaeologies, rather than with simply archaeology, which although united in their aims otherwise concentrate on their object or their methods’ (Jockey 2008, 5). And yet voluntary archaeologists have contributed to the evolution of an archaeology focused on fine objects, through antique dealers and associations, leading to an archaeology of different specialities, brought together to make anthropic remains speak, whether they were created two and a half million years ago or today. Moreover, with regard to the history of the discipline, it is difficult to reproach voluntary archaeologists or ordinary citizens for their desire to dig the ground to discover a treasure when it is precisely through this that archaeology was born. Although it is true that things are changing, this psychological dimension (still firmly maintained by many professional archaeologists who often have their own private collection) must not be ignored. One of the issues is therefore to effect a transformation from an interest in possessing something old into an understanding of it. This process implies not only a continuation of links with voluntary archaeologists and the involvement of ordinary citizens, but also gets rid of old ideas and bad practices within our professional community. However, before suggesting a solution, the impact of UMDs in France, and other known dangers to archaeology or risks in general, will be discussed. Although volunteer archaeologists may be users of metal detectors, not all metal-detector users are volunteer archaeologists. This distinction is fundamental because it serves to distinguish between very different populations. Apart from the legal documents previously referred to, there were no documents explicitly stating the position of the administration regarding UMDs or volunteer archaeologists until a recent report by the Conseil National de la Recherche Archéologique (CNRA). This council is a consultative service responsible to the Minister of Culture and Communication, which appoints experts based on proposals from the various participants in archaeological research. The CNRA has jurisdiction over issues relating to archaeological research within the national territory and is also contributing to setting up planned interdepartmental policies within the field of archaeology. During the night of 8 to 9 February 2010, looters equipped with metal detectors entered an INRAP archaeological survey site at Noyon (Oise). They dug around a hundred holes, which enabled them to leave with coins and antique fibulae, as well as strapping copper and shrapnel from the First World War. Following the plundering of this site, Frédéric Mitterand, the Minister of Culture and Communication, asked for a report from the CNRA on the impact of metal detector use in France. This report, entitled ‘Metal Detectors and Pillage: national archaeological heritage in danger’ was delivered in February 2011. In the absence of any real statistical data, the report’s experts were limited to figures supplied by the association Halte au Pillage du Patrimoine Archéologique et Historique (HAPPAH), which exists to fight against looting, degradation, destruction and theft of archaeological and historical heritage in France and abroad. The number of UMDs is officially estimated at around 10,000 prospectors, as a conservative estimate (HAPPAH n.d. a). The number of objects pillaged each year is estimated at over 10 million, despite the publication of decree no. 91-787 of 19 August 1991, which relates to the protection of public collections against malicious acts involving the use of metal detectors. This last figure does not only apply to the pillage of identified archaeological sites, whether during survey or during rescue or programmed excavations, but to all metal detector use carried out without official authorisation. On this point, the report states that unsupervised metal detector use is responsible for the destruction of much French archaeological heritage. This condemnation of metal detector use and, by extension, of UMDs, is, however, tempered by the CNRA experts themselves. They recognise two major flaws in the French system: shortcomings in applying the law and a lack of awareness on the part of both the wider public and heritage professionals (including archaeologists, whether lecturers, researchers or other, as well as historians, curators, scientific investigators, local authority representatives etc.) about these issues. From ArkéoTopia’s point of view, the major problem in France is not so much the current law’s clarity but the absence of a real application of the law. This problem is easily explained by the gap separating the evolution of the position of archaeologists in relation to their object of study and politicians’ understanding of it. As a result, hobby detection continues, a situation that was formerly tolerated, but can no longer be today. These shortcomings stem notably from a lack of evolution of educational practices within a discipline undergoing constant evolution. Similarly, it can be added that illegal prospection, which is here singled out, has had the merit of bringing to light two things: on the one hand the shortcomings of the executive and on the other a reconsideration of the often-disparaged place of voluntary archaeologists and of archaeology in our daily life. The demotion of History and Geography from being core subjects to optional subjects in the final year of school for those preparing for the scientific Baccalaureate is a recent example as is the attitude of some professionals towards voluntary archaeologists. The CNRA’s experts distinguished between UMDs and voluntary archaeologists. Indeed, among other solutions, they suggest educating those ‘curious about history and passionate about the past, currently equipped with metal detectors [so that they renounce] using metal detectors freely wherever they wish, following the example of archaeologists (professional or amateur) who cannot intervene freely or without authorisation’ (CNRA 2011, 5). The report thus officially recognises the existence of voluntary archaeologists and even associations of volunteers, which is a first. While some unions and professionals are trying, for various reasons, to silence this fringe of the archaeological community (from which nonetheless professionals originate), the CNRA experts display an innovative approach, which respects the history of archaeology. The report opens a channel for reconciliation showing that the authorities are aware of a need within the general public, which is not in opposition to scientific interests. On the other hand, it criminalises a desire to collect or to make a fortune, which is considered by the experts as being the motivation behind metal detector use without authorisation. Voluntary archaeologists rarely complain publicly about how they are denigrated or dismissed. This is why the text written on the web site of the Legio VI Victrix association by Philippe Ferrando, a voluntary archaeologist known for his work on numismatics is so valuable. Referring to Xavier Deslestré, the Regional Curator of Archaeology for the Provence-Alpes-Côte-d’Azur region within the heritage department of the Direction Régional des Affaires Culturelles (DRAC), he notes that ‘the current curator, in place since the 1990s, [has] not understood the importance of amateurs‘. Another example was when Jean-Pierre Houdin’s internal ramp theory for the building of the pyramid of Khufu was called far-fetched by Jean-Claude Golvin in the magazine Le Point (2007, 83). The law and the position of the administration are currently explicit. Prospection with metal detectors is not authorised, with services dedicated to archaeology going even further by forbidding any form of prospection without official authorisation, and therefore any unsupervised prospection. Do UMDs have the same perception? If not, what could the reasons be for this? How do they see themselves? Although there are associations and even federations of UMDs, such as the Association Méditerranéenne des Prospecteurs, Association Nationale pour la Détection de Loisir, ARBF Aide à la Recherche de Biens Familiaux, Fédération Nationale des Utilisateurs de Détecteurs de Métaux (FNUDEM), Fédération Européenne des Prospecteurs, etc., it appears that it is a solitary practice. The range of attitudes is wide, as in any community but two attitudes in particular with unwelcome consequences for good relations between UMDs and professionals are apparent from the dedicated forums and internet sites: ignorance and victimisation. The forum of the site La Détection, one among many others, has an area dedicated to identifying ‘unintentional discoveries’, as described by some forum users with a sense of humour. From all the threads, the case in point is ‘no. 46074R0—Bronze Hairpin’, started by Théodoric on 10 December 2006. The discussion is friendly and knowledgeable. Participants do not hesitate to refer to publications and museums in their region to make identifications. Are they aware that they are contributing to the destruction of information? Nothing is less sure. What is more, it can be legitimately supposed that the person who made the discovery would not really have been listened to if the discovery had been taken to the Direction Régionale des Affaires Culturelles (DRAC). What is of interest here is that this exchange is not without similarities to those of scholars and researchers up until the middle of the 20th century. This example brings back the necessity for raising awareness about what archaeology is and the damage that illegal collection of material without leaving an information trail can represent. DRAC or DAC comes under the authority of regional prefects or prefects of departments, and is a decentralised service of the Ministry of Culture and Communication, whose job is to implement at a regional level the priorities set by the Ministry of Culture and Communication for scientific and technical culture, museums, archives and heritage amongst others. They also offer expertise and act in an advisory capacity to the local authorities and the various local cultural partners. It has to be remembered that UMDs are, above all, members of the wider public, some of whom have never read a scientific article, met a researcher or taken part in an excavation. I have observed the results during my activities as scientific mediator, both with primary school children, high-school students and adults. The facts are that on the one hand a large majority of children confuse palaeontology and archaeology, which proves also to be the case for many adults, and, on the other hand, archaeology is reduced to excavations, and therefore to the discovery of large areas. It is thus normal and logical that UMDs share this view, which they narrow still further by focusing their definition of archaeology on already identified sites. This is how the Association Nationale pour la Détection de Loisir published a text to allow UMDs to identify an archaeological site from a non-archaeological artefact (ANDL n.d.). In this particular case, recognition should be given to the association’s praiseworthy efforts, by mentioning not only metals but also other materials (ceramic fragments, broken tiles, pieces of glass, bone fragments, etc.) in a desire to be ‘civic-minded and respectful’ so that the ‘honesty [of UMDs be] recognised’. Ignorance of the scientific issues of archaeological research is apparent in the document’s conclusion: ‘You can very well find a lost purse full of Roman coins in a zone of a few square metres, but if in the surroundings you notice ceramic fragments, you should immediately have doubts’. A Roman purse discovered by itself in situ is not considered as scientific evidence because it is isolated, which leads to an image of an archaeological site considered as a structure or a vast space. It can clearly be noted from this text that the association is mistaken about what a piece of archaeological evidence really is. In the association’s defence, it can be admitted that the professionals themselves only started defining what archaeological evidence is during the last decade or so, and some still consider only evidence coming from an excavation as being archaeological, thus forgetting that built examples have been seen, both industrial and older. The ‘Open letter to archaeologists in France’, by Fédération Nationale des Utilisateurs de Détecteurs De Métaux (FNUDEM), also deserves acknowledgement. In this case, this federation has the merit of attempting to rally professionals towards an arrangement allowing UMDs to practice their hobby and scientists to accumulate data. In acknowledging the archaeologists who are in contact with them, it would seem that an alliance is already taking place. However, UMDs are not always so quick to engage in dialogue. Although cases involving individuals are rare, examples of associations are unfortunately less so, andand enter into the scope of victimisation. For example, a forum user with the pseudonym Choubi wrote on the forum Archéologie of the Futura Sciences site: ‘Hello everyone, while surfing the net I came across several detection sites with just fibulae, coins, and other archeo artifacts. I tried to explain to them the legislation about surveying (with or without detector) but for them if they have the landowner’s permission and it’s an unlisted site, they can do what they want! So with this lack of understanding what can we do to stop this situation? (I contacted a seller of these little machines who told me he was out of stock he sold so many) I have the impression that if we don’t act, they will end up sacking everything.’ Although it may be thought that this discourse is exaggerated, it would not be surprising if some refuse to recognise the evolution in legislation and research. The reply by the Fédération Européenne des Prospecteurs (FEP) to the CNRA’s report is an example. The reply by Pascal Gervoise (n.d.) shows a population which is deeply entrenched in its attitudes. Indeed, as has been seen, although the report stigmatises illegal prospection (while recognising the contribution of voluntary archaeology), the FEP’s reply attacks the report which ‘is very careful not to make the slightest allusion to scientific advances or to positive results due to surface prospection, however undeniable: anything which does not arise from a certain official archaeology would be part of “grey archaeology” without interest and even without scientific existence’ (Gervoise n.d., 2). In addition, as the report explicitly mentions, associations and federations of UMDs are trying to present their activity as a leisure pursuit ‘like hiking, fishing, mountain biking, walking or mushroom picking’ (see Détect+), by insisting on recognition in the preliminary deliberations for the Heritage Code law of December 1989. Other than the FEP, the site Détect+ also mentions the remarks of an elected deputy and a Service Régional de l’Archéologie (SRA) in support of this assertion of leisure activity, which displays a lack of knowledge of the law at the date of the post, and an error in its interpretation. However, these preliminary deliberations are not yet official texts. This way of approaching the subject shows more of a desire to influence the development of research to the advantage of UMDs than facilitating dialogue with professionals by accepting a move towards practising within a framework, revealing a mindset which authorities will have to take into consideration. In addition to individuals, associations and federations, the economic issues related to this activity should not be forgotten, nor consequently the involvement of companies selling the devices and other related products, whose magazines have flourished over the last fifteen years. If, as the CNRA’s experts highlight, there is a metal detecting lobby, care would need to be taken not to get the wrong target. Any discovery made in undisturbed soil is archaeological evidence with contextual value. Similarly, any discovery made in recently disturbed ground (works, terracing, etc.) is scientific information for the potential location of an archaeological site. Quite rightly considering that there is no such thing as leisure detection from a scientific point of view, the CNRA’s experts criticise UMDs’ position, notably by underlining that their dialogue ‘is now moving towards a desire to establish themselves as archaeology’s providential assistants, to allow research to benefit from their, albeit illegal, discoveries’ (CNRA 2011, 2). This is effectively what was discovered at the meeting of 8 December 2010 between the FNUDEM and the Amicale Auboise de Prospection (Prospection Association of the Aube Department) and authorities from the Archaeology Division of the Ministry of Culture and Communication. However, it should not be forgotten that the use of metal detectors has been demonised for a long time by the scientific community, to such a degree that it was frowned upon even to use a metal detector officially on site. In fact, the conditions for their use have not been subject to methodological research such as for excavations. Proposals to intervene as archaeology assistants could be a part of the solution. Even HAPPAH today underlines the advantages of metal detectors for helping with survey, excavation planning and in collecting objects from the spoil heap (HAPPAH n.d. b). Are Only UMDs Interested in Archaeology? Although UMDs are placed in the spotlight by the administration and French professional archaeologists, they are not the only ones who are interested in archaeology in France. As has been mentioned, a voluntary archaeologist can be a UMD, but the reverse is not necessarily true. I will now turn to the issue of voluntary archaeologists. in this article, ‘voluntary archaeologist’ designates any person who is not paid for doing research and carries out quality archaeological work. The quality can of course vary in relation to the scientific norm, because some voluntary archaeologists do not publish their work. This does not detract from the interest of their approach, whether from originality in prospection, analysis or experimentation. 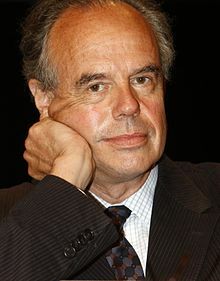 For example, the contribution of Philippe Bonnenberger’s work to knowledge about the production of medieval manuscripts should be mentioned. 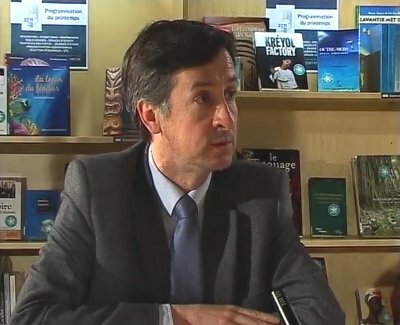 Apart from an article for the general public (Bonnenberger and Gransard-Desmond 2001), Philippe Bonnenberger has not published, but was part of the codicology section at Institut de Recherche et d’Histoire des Textes (IRHT) and has produced several documentaries for the team. Similarly, Jean-Pierre Houdin made a significant contribution to knowledge about the construction of the pyramids of Giza (Houdin and Brier 2008; Houdin and Houdin 2002). However, the contribution of voluntary archaeologists is not limited to scientific revolutions. Many of them have contributed to archaeological research through more traditional work, which is just as important. In particular, the case of Philippe Ferrando can be cited, a voluntary archaeologist within Roman numismatics who has also contributed to several articles in collaboration with professional archaeologists (Ferrando 2010). Of similar importance are Christian and Thierry Giraud, whose field-walking without electronic devices enabled the identification of a Mesolithic site for a CNRS team led by Luc Laporte. After having notified the relevant authorities, Christian and Thierry Giraud took part in the excavation which led to the report of Laporte et al. 2000, in which the collaboration of Christian and Thierry Giraud was mentioned. Additionally, there is the work of the GRHALP (Groupe de Recherches Historiques et Archéologiques de Louvres-en-Parisis), founded in 1972 by volunteers, which led to the creation of Archéa, a museum that was granted Musée de France status in September 2010. Although these volunteers dedicate an important part of their life and their finances to actions that earn no money for them, they are not isolated cases, neither within archaeology nor in other scientific disciplines. A French voluntary astronomer, Claudine Rinner, demonstrated on 29 November 2011 that volunteers have a place even in disciplines that require a significant investment in equipment (Dauvergne 2012). They represent the survival of the Learned Societies of the 19th century, just like other volunteers who also add their weight to the body of archaeological knowledge by volunteering to take part in planned archaeological excavations or library research for data that they share with both professionals and other more-involved volunteers. Any legislation or steps taken against treasure hunters and vandals should therefore take into account voluntary archaeologists in order not to turn them unjustly into criminals, which would not benefit future archaeological research. In other words, the different dimensions in which volunteer archaeologists can contribute should be taken into account, which are likely to be in the same fields as professionals: prospection, field technician, site director, inventory, material analysis, documentary research, experimenter, and so on. Some unions are afraid that jobs would be taken from them by volunteers. However a volunteer can never replace a professional for one simple reason: a professional is under contract, and so has an obligation to produce results while a volunteer is, at most, under a moral contract, but without any obligation to provide results. Their only reward will be the respect earned from completing a task. What is more, companies will never have enough money to employ so many people. There will thus never be enough professionals, or enough money in relation to the task of understanding the past. Doing without volunteers of any sort would reduce archaeology to an economic objective and it would no longer be science. Similarly, another section of the French population, ordinary citizens, take part in archaeological research at a lower level. They are neither UMDs nor voluntary archaeologists. By ‘citizen’, we mean any person who does not dedicate a regular time to archaeological research, whether in the field, analysis, library work or experimentation. Generally, an ordinary citizen’s contribution comes down to indicating the location of an engraving, a Gallo-Roman wall, a coin hoard, or any other element that is of interest to archaeology. However small this contribution may be, it is of no less importance to the identification and location of archaeological sites. In practice, the main contributors are farmers and anyone whose job involves working with natural resources. However, they are not the only ones, as shown by the discovery in November 2008 of a coin hoard during ordinary earthworks in a garden of an Arpajon property (in the Essone department). After excavation, archaeological authorities estimated the hoard comprised 40,000 Roman coins dating from the 3rd century AD. In contrast to the involvement of volunteer archaeologists, citizens’ interventions remain limited, since they rarely receive proper acknowledgement. Perhaps the wealth of the French past is so great, we are no longer able to take account of the general public’s great disappointment in this respect. Indeed many volunteers and professionals have told ArkéoTopia of how farmers and potholers have come to them to report their discoveries without wanting to involve the relevant authorities for fear of a destroyed field, blocked access to a cave or simply being considered unlawful or even lacking information relating to the discovery. Once again, any legislation or measure taken against treasure hunters and vandals should take into account the actions of ordinary citizens. This point will be returned to later, however, the importance of legislation being integrated and measured by professionals can already be highlighted. Indeed, they should act not as guardians of a temple, but rather as a benign point of reference for volunteers and ordinary citizens, all of whom are involved in the same efforts to save traces of human history and facilitate understanding of both the ancient and recent past. Are UMDs the Only Danger for Archaeology? Although France is concentrating on UMDs as the only danger for archaeology, this position is erroneous and does not take into account new technology, as shown in the the legislation review and reasons that motivated the CNRA’s report. However, before discussing the many risks relating to private interventions, the danger presented by the administration taking the wrong stance will be considered first. In this respect, Marc Drouet, the Deputy Director of Archaeology at the Office of Heritage of the Ministry of Culture and Communication, symbolises the problem. He appeared on station France Inter, on the La tête au carré radio programme of 5 May 2011, on the topic of ‘Lascaux, Pompei, Angkor… can we safeguard our archaeological heritage?’. 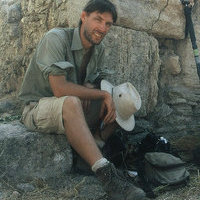 In response to an online question ‘will the proposals made by the CNRA about archaeological looting using metal detectors one day be applied?’, Marc Drouet replies, ‘Yes, [archaeology] is threatened because if, as has been said on different occasions, you take archaeology out of its context, it does not have this intrinsic quality which gives it all its interest, this scientific quality’ (at 66:46 mins). Taking an object out of its context certainly compromises archaeological analysis if the object did indeed have a context. When a professional carries out survey, or indeed a voluntary archaeologist, a UMD or even an ordinary citizen, they are going to come across material that most of the time is found in a disturbed area, which is the surface layer. The find can be either directly on the ground or a few dozen centimetres below the surface. In other words, sending out the message that any item above ground is an item that no longer has any value is a scientific error. Indeed, the aforementioned item at least provides an indication of the potential presence of an archaeological site. This is confirmed in the CNRA report where it says: ‘The argument that they only reach the superior layers which have minor interest to archaeology is not acceptable, since archaeology studies stratigraphy as well as spatial relations at every level of the site’ (CNRA 2011, 3). Discrediting a find out of context is not helpful as it undermines the meaning of context and only postpones the problem of disturbance, which is present notably when agriculture is involved. Although Marc Drouet’s position can be understood as a desire to simplify the situation presented to the wider public, his position is harmful. Not only does it put professionals in an awkward position regarding future explanations to the public, but it prevents the possibility of intervention by ordinary citizens to help form an archaeological map. For example, with this type of explanation, farmers who plough the land with or without a detector could be considered criminals. It is thus dangerous to transmit a simplified dialogue to the wider public, whatever the objective may be. It is far more profitable, and even essential, to popularise the subject to a young audience, as ArkéoTopia passionately recommends. It is even more serious that Marc Drouet began his answer by stating that ‘you are passionate about archaeology so we should be able get along. But also listen to this message that consists in saying that archaeology is a job, archaeology is a professional affair. They are researchers with highly specialised techniques and training. You cannot improvise as an archaeologist as you could in the 18th and 19th centuries. Today it is a scientific process’ (Reply at 65:59 mins). As has been seen, even archaeology in 2012 is not only a professional affair, but also one for volunteers. The ability to revitalise research, although it can come from professionals, will also come from volunteers who are not subjected to an educational norm. Since they are freer in their activities, they are also freer in their ability to innovate, as Philippe Bonnenberger and Jean-Pierre Houdin’s work has shown. In addition, grouping UMDs and voluntary archaeologists shows an ignorance of today’s archaeological community, which clearly demonstrates France’s ambiguous position towards private research, which is generally considered as being nonexistent despite the contributions the public sector gains from it and which the CNRA’s report brought to light. The association HAPPAH should not be forgotten either, and supplies enthusiasts with a list of tools available to take part in surveys (HAPPAH n.d. c). The position of high-level civil servants and local authorities in France is fundamental to the future of French archaeological research. It effectively presents one of the main dangers not only to the future destruction of human traces in this country, but also of a possible fossilisation of French professional research. In addition, metal detector use is not a help for all periods. Thus for the prehistoric periods, it is of no use and simple field walking suffices, as seen previously with the Giraud brothers’ work. Similarly, improvements in technologies result in a reduction in manufacturing costs every year for detection material, which is steadily becoming more portable. They no longer act only on metallic items but also on clay items, such as by using electrical resistance surveys, for example. Finally, new technologies put tools that professional archaeologists themselves could not have easily used previously at the disposal of individuals today. One tool similar to Google Earth allows high-quality aerial prospecting to be carried out from your living room, with geolocalisation and the option of team organisation (see the discoveries of Dr Sarah Parcak, of the University of Alabama (Vlassenbroek 2011), and experiments at http://www.geoportail.fr). Legislation focusing only on the tools and not on motivations would gain nothing from its ratification. Indeed, for those only interested in plundering, what precedes outlines the extent of what already exists or what could soon exist as a way to get round laws which take only metal detectors into account. There are other means of prospection and treasure hunters who wish to get around the law will do so. The CNRA’s report also states: ‘[…] the impact of looters who specialise in searching for other objects (flint, stone, or ceramic) should not be minimised. They damage sites from all periods, from the Palaeolithic to the present’ (CNRA 2011, 2). On a different note, apart from increasing awareness about archaeology and the distinction between treasure hunter and researcher is the additional complication of treasure hunts as a game. My experience as a scientific mediator has made me aware of the frequent use of treasure hunts for children, which unfortunately do not involve hiding eggs in the hollow of a tree, but burying objects in the earth of various plots of land. In addition to the issue of competition instigated by activity leaders, it is important to question the supervision of such practices. Indeed, many educators have reported to me that they allow children to dig the ground wherever they wish. Since landowners and local authorities are not always aware of the legislation, the consequences of unintentional discoveries are a cause for concern. Although in some instances a prepared plot of land is mentioned, the ethical aspect of such hunts is problematic, since not only is the use of metal detectors presented as relevant to the hunt, but the regulations regarding the use of these devices are generally not made clear during the activity. The association Chass’Or, one among many, unfortunately, is a perfect example. Moreover, what about any buried objects that the children fail to find but which pollute the subsoil for archaeologists? As things stand, an evaluation of the real dangers of the practice of ‘play’ treasure hunts to archaeology cannot currently be evaluated. Several other dangers threaten the future of archaeological research, including wars, with the pillage of museums and excavation reserves (Flandrin 2004), products used in farming that increase erosion of items or simply natural erosion, as is the case in Iceland. The CNRA’s report (2011, 10) concludes, among other things, that it is necessary to recognise that ‘leisure detection does not exist [because] the whole of France is an archaeological site’ . From our point of view, this reality extends far beyond the French borders. Under these conditions, would it be the fate of metal-detector users to be forced to sell their now-unusable devices? This is, of course, out of the question because it would be an admission of failure, showing incapacity to respond both to expectations and to scientific needs. Why go without the services of voluntary archaeologists and UMDs who could become voluntary archaeologists? As has been seen, archaeological research has evolved in its object of study. It should no longer limit itself to being a discipline centred on one of its tools, excavation, but should consider material human cultural remains in all their dimensions, be they temporal (from the Palaeolithic to today) or geographic (underground, above ground, underwater) in order to focus on the study of objects made by man. In the long term, such a position would imply bringing archaeology, art history, ethnology and also sciences and technical subjects closer together. This evolution should not only concern universities and professionals, who are not yet on board, but also authorities who have to apply the law, as well as the wider public. The CNRA’s experts recommend establishing an ethical charter for professionals. Within ArkéoTopia, we recommend that such a charter be put in place for students at Masters level, and be accompanied by an oath. As for doctors, the oath would require a minimum knowledge of data relating to the rights and obligations of a future professional, while the charter would give more detail. This is the aim of the ArkéoTopia’s ‘Arkéthique’ project. Its objective is not only to increase awareness about safeguarding archaeological heritage, but also about the implications of the day-to-day work of heritage professionals and the respect professionals should pay to volunteers and ordinary citizens. For each group, there are advantages, which are not detailed in this article. The issues at stake in the Arkéthique project involve restoring the respect that professionals should have in the public’s opinion while making them conscious of their responsibilities and the consequences of their acts. As has been seen, professionals are not the only ones to have to update their practices. Just as there is a political desire to increase awareness about science and the scientific approach among young people, on the initiative of the Main à la pâte project, it would be good to integrate archaeology in the same way as physics, chemistry, biology or mathematics. Like the decree concerning the organisation of art history teaching in primary and secondary schools (Ministère de l’éducation nationale, de la jeunesse et de la vie associative 2008), it would be good if archaeology and its corresponding legislation were not forgotten. Also, no activity that uses prospection and/or excavation should take place without the children taking a ‘licence to dig’, as I have done for the Scientific and Technical Resource Centre of Paris. This would make them aware not only of the issue of regulations, but also of the difference between pillage and science. The same should apply to excavation sites using volunteers, as well as associations of voluntary archaeologists, for archaeological activities at scientific events, both national (Fête de la Science—a national science week) and European (Researcher’s Night), from which archaeology is often absent. Even if not future archaeologists, they will become ambassadors, not only for heritage protection, but also for a true scientific approach. Although the CNRA’s report focuses on metal detectors, damage to heritage is not limited to the UMD community and that much damage, notably involving building and civil engineering, is often a consequence of fear of lengthy delays or even blocking of construction sites. Owing to the lack of resources put into establishing a French archaeological map with a view to protection that also takes into account volunteers, professions linked to the land and the construction trade, this fear of delay is currently justified. Despite the name ‘preventative’ archaeology, French archaeology still remains today mainly rescue archaeology. Finally, since leisure detection does not exist, the numbering and registration of metal detectors is the logical consequence of the CNRA’s proposals. It would even be interesting to envisage, for those professions that currently do not impart knowledge about regulations, the introduction of a licence with minimum training about conditions of use, and above all the consequences of both bad and good practice. If this proposal were to be carried out, it should also take into account the possibility of hiring equipment. Such a measure would have the advantage of facilitating future statistical work about usage of this equipment and consequently providing information to a judge, if necessary, as well as making adjustments to the legislation easier. However, it is highly regrettable that the CNRA’s experts did not more explicitly suggest an association between UMDs and professionals in a win-win relationship, as clearly highlighted by Bruno Bréart’s initiative. This former regional curator of archaeology at the DRAC in Franche-Comté brought together UMDs and archaeological work in an official manner to cover the area of Franche-Comté. It should be noted that Article 3 of the Valetta Convention, in particular its point 3.ii, specifies that: ‘watch that excavations and other potentially destructive techniques are only carried out by qualified and specially authorised persons’ (Council of Europe 1992). In other words, a voluntary archaeologist with a degree in archaeology or with sufficient field experience or even with specific training given by a competent professional or voluntary archaeologist has the right to ask for authorisation. As discussed above, the integration of new voluntary archaeologists from UMD communities would be made even easier if professionals were capable of explaining the legislation, and in particular, why such legislation exists. Such an exchange would emphasise the country’s political choices, and, much more profoundly, the day-to-day consequences of archaeological research. As it is, French professionals are not able to educate but only to repress, which in the long term will only drive underground a section of the public who were initially open and well-disposed. These measures would certainly also drive another part of the public underground, those who are not ready to change their practices and to understand that the world is evolving. For this section of the public, sanctions are the only cure. As for the others, archaeology has never needed volunteers more, because the development of digital tools has given rise to a quantity of data to handle that exceeds funding levels in all domains, from literature reviews to data analysis, as well as survey, excavation, cleaning, classification, drawing, digitising and dissemination. Association Nationale Pour la Détection de Loisir, n.d. Savoir reconnaÎtre un site archéologique, Association Nationale pour la Détection de Loisir. Available from: http://www.detection-loisir.com/doc/Savoir_reconnaitre_un_site.pdf Last accessed 17/04/12. Bonnenberger, P. and Gransard-Desmond, J.-O. 2001 ‘La fabrication du parchemin’, Histoire médiévale 22, 6-11. Bruneau, P. and Balut, P.-Y. 1997 Artistique et archéologie. Mémoires d’Archéologie Générale. Paris: PUPS. Clist, B. n.d. Réglementation de l’archéologie de terrain en France Droit et Archéologie. Available from: http://www.archeodroit.net/html/jdc_regl.html Last accessed 18/04/12. CNRA 2011 Détecteurs de métaux et pillage : le patrimoine archéologique national en danger, Ministère de la Culture et la Communication. Available from: http://www.culture.gouv.fr/culture/dp/archeo/pdf/cnra_rapport_ddm_2011.pdf Last accessed 17/04/12. Council of Europe 1992 European Convention on the Protection of the Archaeological Heritage (Revised), Council of Europe. Available from: http://conventions.coe.int/Treaty/EN/Treaties/Html/143.htm Last accessed 18/04/12. Dauvergne, J.-L. 2012 ‘Claudine Rinner : 2 000 astéroédesï et une comète!’, Ciel & Espace 501, 10. Ferrando, P. 2010 L’atelier monétaire d’Arles : de Constantin le grand à Romulus Augustus, 313-476, Arles: Decumanus éditions. Flandrin P.. 2004 Le pillage de l’Irak. Main basse sur la Mésopotamie, Paris: Éditions du Rocher. Gervoise, P. n.d. Réponse au rapport du C.N.R.A., Fédération Européenne des Prospecteurs. Available from: http://www.f-e-p.net/PDF/cnra.pdf Last accessed 17/04/12. Golvin, J.-Cl. 2007 ‘Quand les architectes devenaient des dieux’, Le Point Hors-série. Les grandes civilisations 1, 80-91. HAPPAH n.d. a. Compteur d’objets prélevés illégalement avec des détecteurs de métaux, Halte au pillage du patrimoine archéologique et historique. Available from: http://www.halte-au-pillage.org/compteurpage.php Last accessed 17/04/12. HAPPAH n.d. b. Dossier – la propection au détecteur de métaux, Halte au pillage du patrimoine archéologique et historique. Available from: http://www.halte-au-pillage.org/dossierprospdetecteur.php Last accessed 17/04/12. HAPPAH n.d. c. Dossier – la prospection, Halte au pillage du patrimoine archéologique et historique. Available from: http://www.halte-au-pillage.org/dossierprospection.php Last accessed 18/04/12. Houdin, J.-P. and Brier, B. 2008 Le secret de la grande pyramide. Paris: Le Bonheur. INRAP 2009 La loi du 17 janvier 2011, Institut National de Recherches Archéologiques Préventives. Available from: http://www.inrap.fr/archeologie-preventive/L-archeologie-preventive/Un-peu-d-Histoire…/p-314-La-loi-du-17-janvier-2001.htm Last accessed 18/04/12. Jockey, P. 2008 L’archéologie. Paris: Idées reèues 162. Laporte, L., Marchand G., Sellami F., Oberlin C. and Bridault A. 2000 ‘Les occupations mésolithiques et du néolithique ancien sur le site de la Grange à Surgàres (Charente-Maritime)’, Revue archéologique de l’ouest 17, 101-42. Ministère de l’Education nNationale, de la Jeunesse et de la Vie Associative 2008. Bulletin officiel n^#176;32 du 28 auût 2008, Ministère de l’#232;;ducation nationale, de la jeunesse et de la vie associative. Available from: http://www.education.gouv.fr/pid20476/n-32-du-28-aout-2008.html Last accessed 18/04/12. Reveyron, N. 2002 ‘L’apport de l’archéologie du bâti dans la monographie d’architecture’, In Situ 2. Available from: http://www.insitu.culture.fr/article.xsp?numero=2&id_article=nr002-601 Last accessed 18/04/12. Vlassenbroek, J. 2011 ‘Égypte: Une “archéologue spatiale” découvre 17 pyramides perdues’, RTBF. Available from: http://www.rtbf.be/info/societe/detail_egypte-une-archeologue-spatiale-decouvre-17-pyramides-perdues?id=6166053 Last accessed 18/04/12. Wheeler, M. 1954 Archaeology from the Earth. Oxford: Clarendon Press.